In Japan, cabbage is a go-to veggie. It’s used a lot in cooking! No wonder the vegetable is often depicted in anime, such as in Taboo Tattoo (above). Let’s look at anime cabbage from over the years. 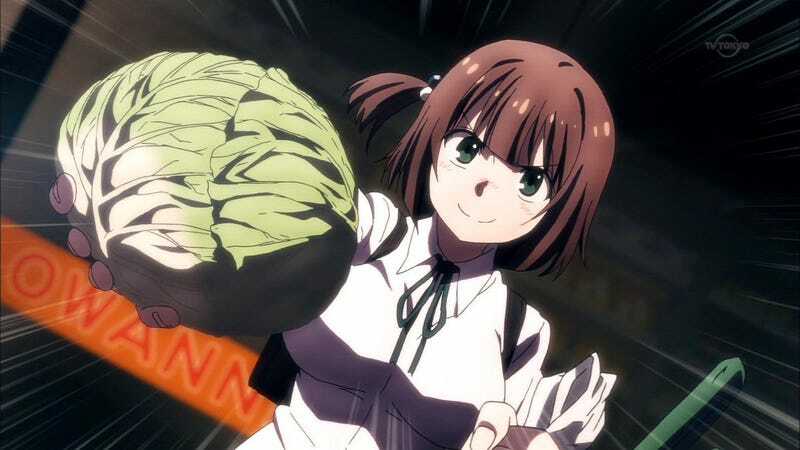 Twitter user Kyo-mu chan recently posted this image, comparing cabbage in several different anime, including Miss Kobayashi’s Dragon Maid and Love Live, among others. Here is one of the most famous (infamous?) anime cabbage images. This is from the Yoake Mae yori Ruriiro na anime. 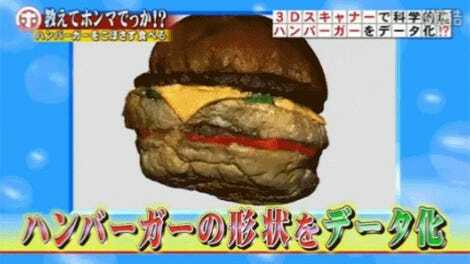 Compared to reality (unappetizing reality, at that). Still, the general consensus is that the Yoake Mae yori Ruriiro na cabbage, which was fixed in the DVD release, is bad anime. Ever since then, it seems like that many studios have done highly detailed cabbage. Here are more anime cabbage. Just released schoolgirl horror movie School Live, a live-action version of the manga, doesn’t seem to know what cabbage looks like before sold in supermarkets.